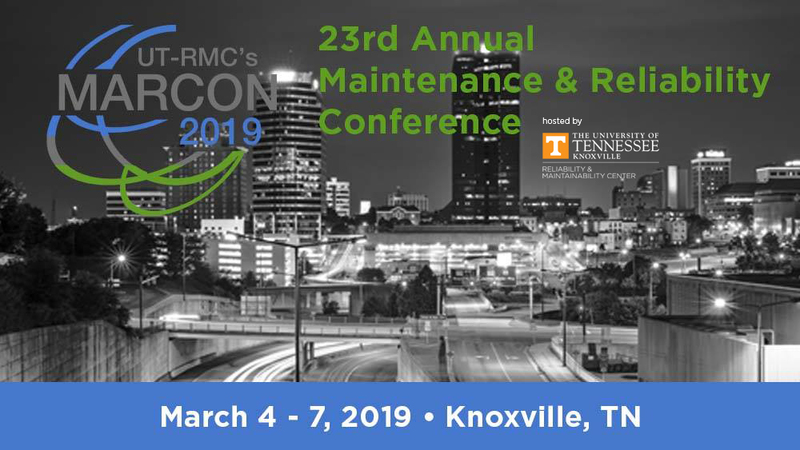 UT Center for Industrial Services will be hosting an informational booth at the 23rd Annual Reliability and Maintainability Conference in Knoxville on March 4-7. Learn more about this opportunity at http://marcon.utk.edu/. Receive a discounted registration cost by entering the code UTCIS2019 when you register. We look forward to seeing you at the Knoxville Convention Center on March 4!